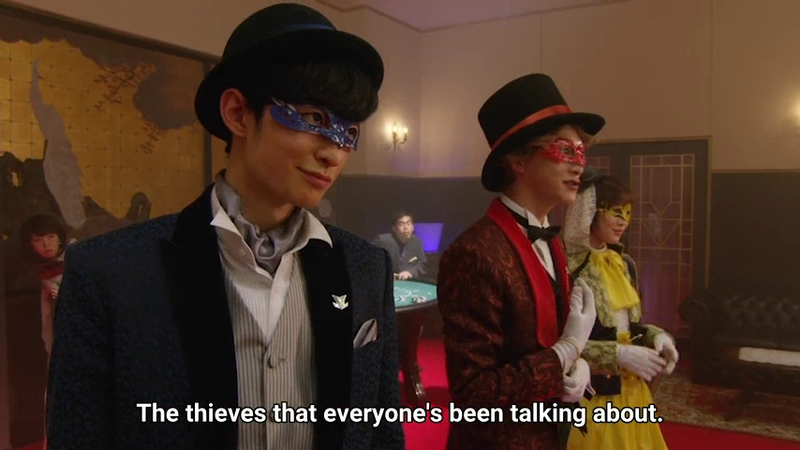 Yup the story of Arsene Lupin continues. 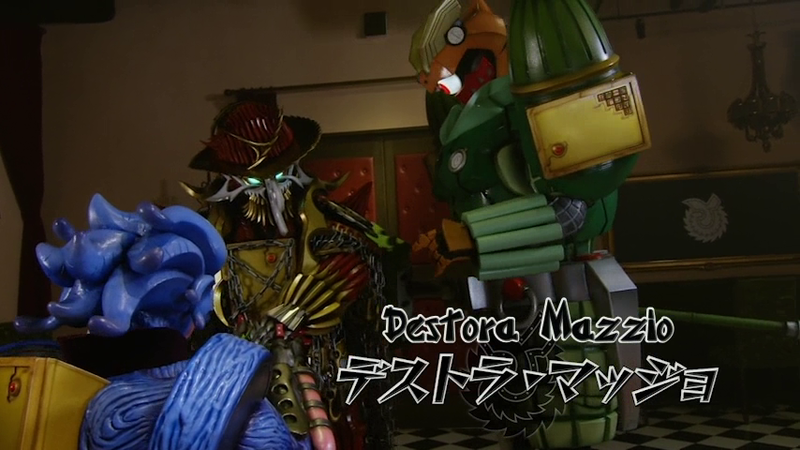 I think this Super Sentai series may be one wacky adventure that may exceed the Boukengers and Gokaigers in treasure hunting as they have to face the Patrangers (probably the show's parody of Dekaranger). Let's get started shall we? 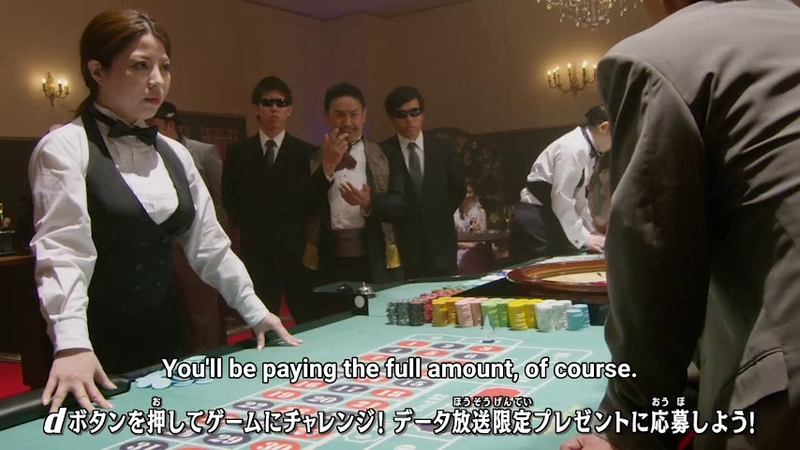 The scene begins with a gambling scene. I kind of wished that Toshihide Wakamatsu of Jetman made a guest appearance as the human form of the Gangler. One priceless treasure is manipulating probability harassing people. 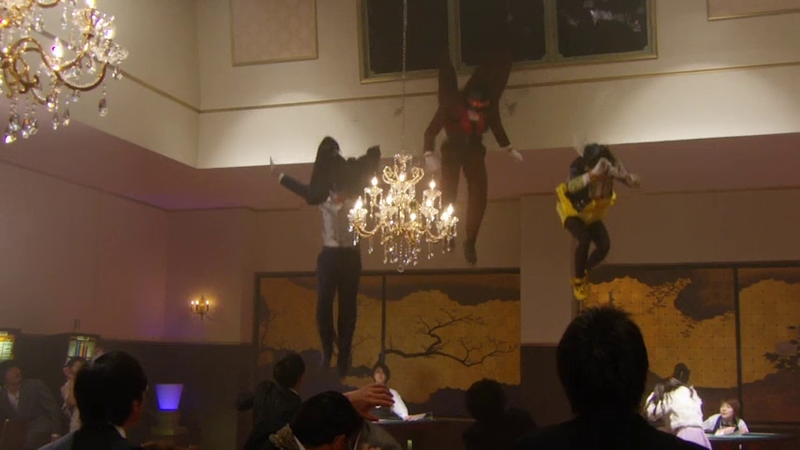 Worse, there's even organ harvest involved (off-screen) and the Lupinrangers come in crashing! Yup, things will get ugly. The opening scene is really one amazing piece of art with CGI. Personally, I wish they were firing bullets instead of lasers for a bit of retro feel but I guess we can't help but use lasers. 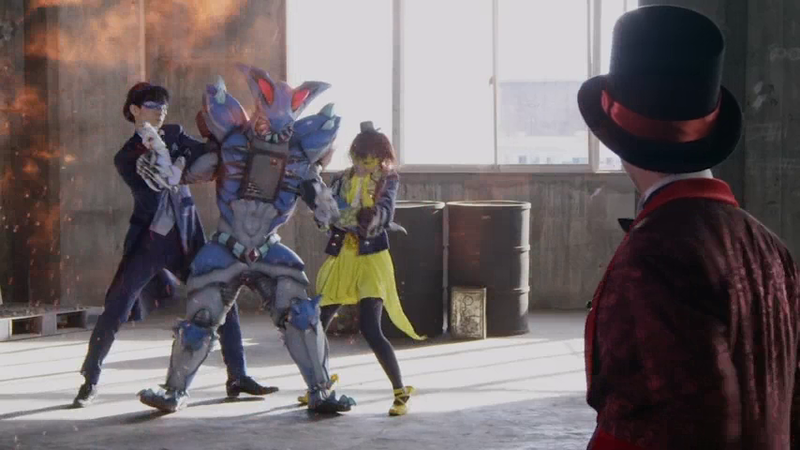 The Lupinrangers defeat the Gangler monster after they get the treasure. I personally wish we've got the Boukengers to check the Hazard Level here. Hehe. 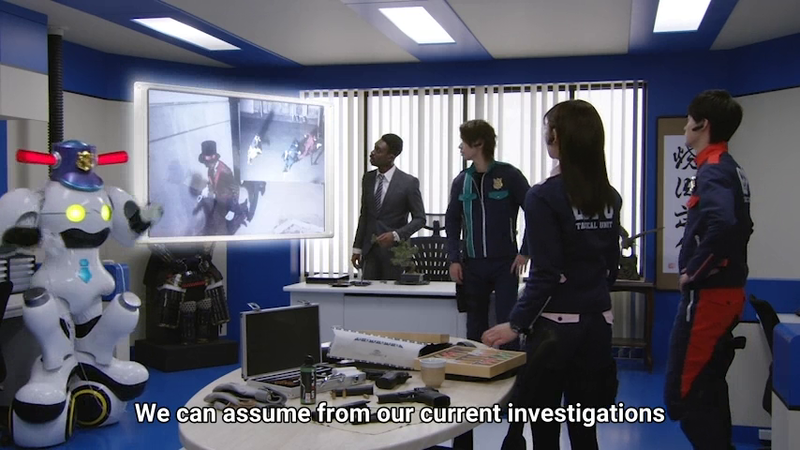 But I guess the Boukengers would be totally pissed at the Lupinrangers' modus operandi. 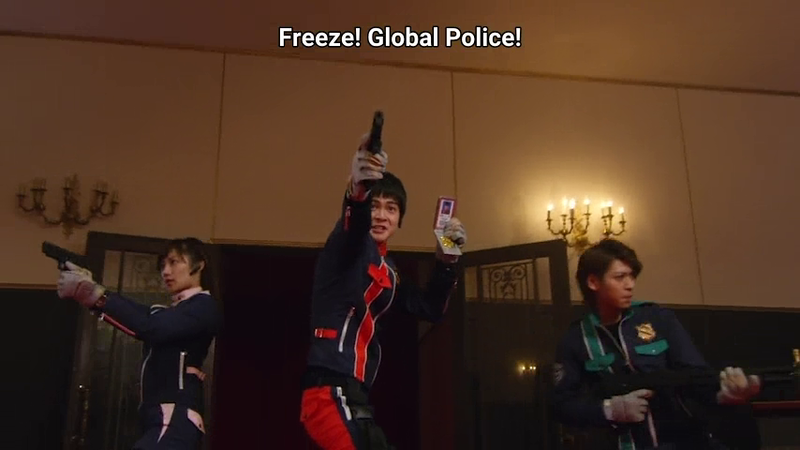 In the midst of the battle, the Patrangers appear and the Global Police arrives. 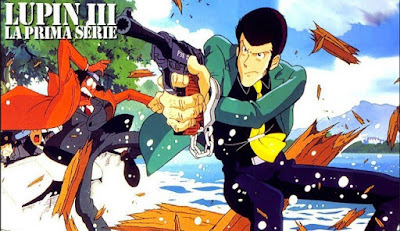 I feel like wanting to insert Detective Zenigata's Tagalog dub phrases which says, "You're now under arrest Lupin!" 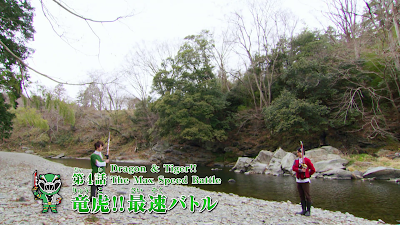 But it ends up with the scene where the Lupinrangers say, "Babayu depektib! "or "Bye bye defective." instead of detective. Quite a bit of introduction we have there. 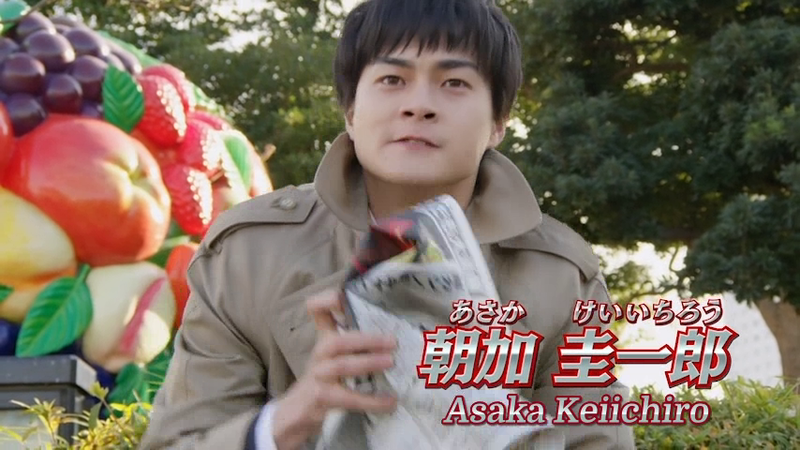 We know that Keiichiro Asaka is indeed the Detective Zenigata of the show. I may call him as Zenigata in future reviews. He shows his frustration as much as Detective Cannimard (the original detective in the Maurice Le Blanc novels) or Detective Zenigata in the Lupin III Anime. 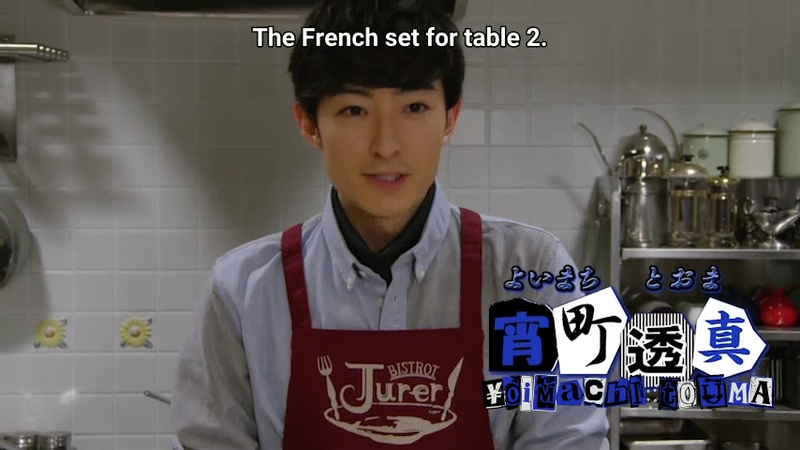 They also open a French restaurant -- which is normal since Lupin is a French novel. The use of French phrases may be some service to Le Blanc's work. This alternate continuity from Le Blanc's novel has it that Arsene Lupin (the first Lupin and the hero of the French cartoon Night Hood) got the treasures 100 years ago. The story takes place 100 years after Arsene Lupin stole the treasures. 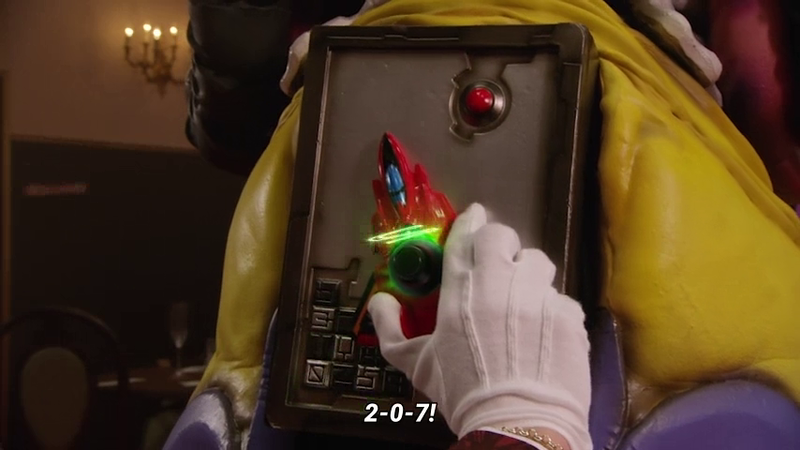 Since its' 2018 (presumably since Kyuranger seems to take place in the Year 2317-2318 than 2017-2018) then one can safely assume the treasures were taken last 1918. These treasures contain tremendous power that could destroy the world if they fall into the wrong hands! Get Boukengers' Acceltectors to detect their Hazard Level anyone? 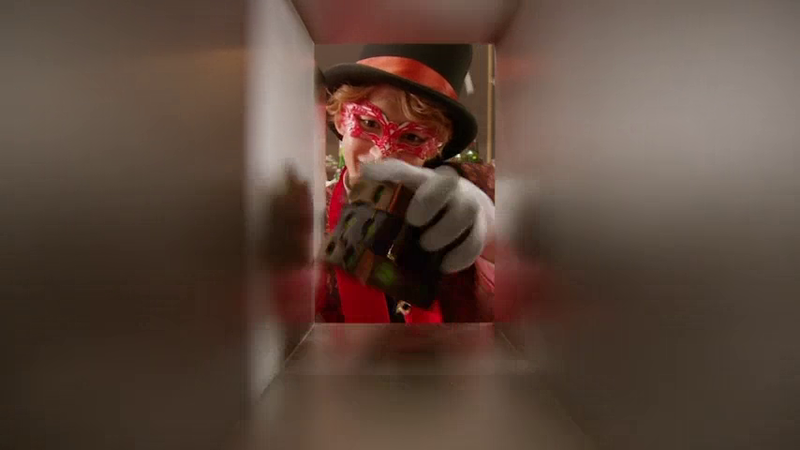 Now, we've got the main villain known as the Ganglers. 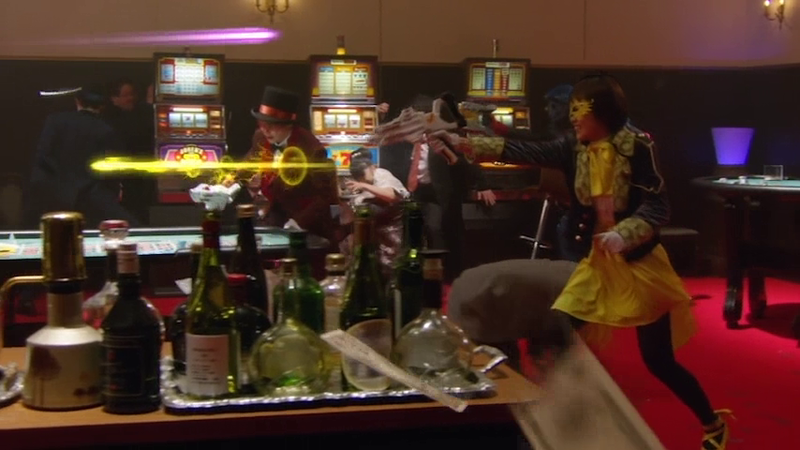 I remembered watching Night Hood where Lupin's archenemy is H.R. 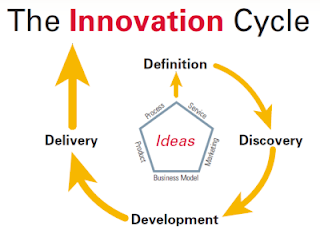 Karst -- a billionaire arms manufacturer. 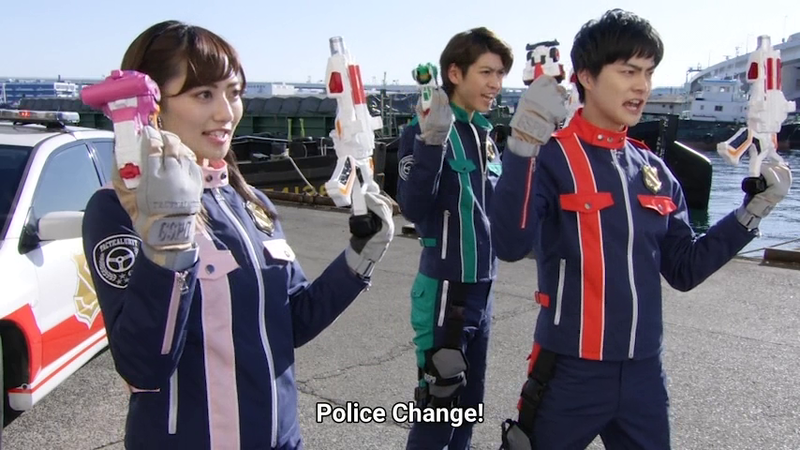 The Ganglers are from another dimension and they seek to take over the world of Lupinranger vs. Patranger. The whole organization was established for 500 Earth years. 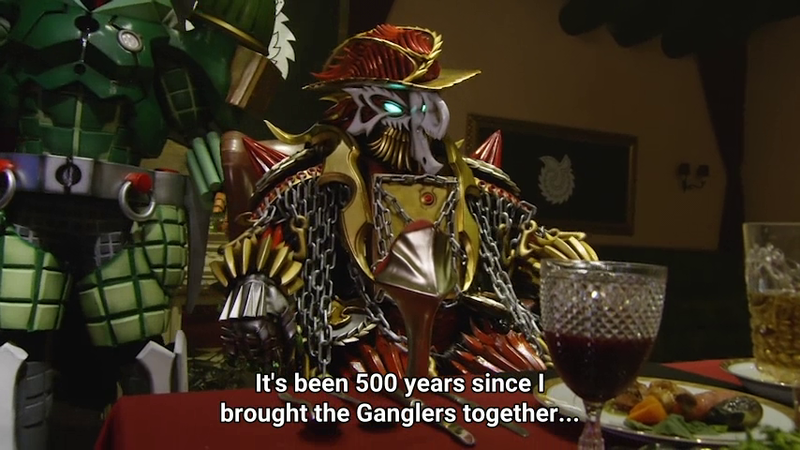 So if the gang leader Dogranio Yaboon is 999 years old in Earth years -- so how old is he in Gangler years? He would offer his top slot to whoever can take over the Earth. 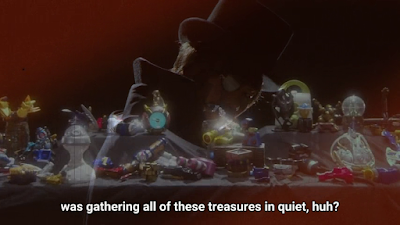 They have the Lupin Treasures which they use for their evil activities. 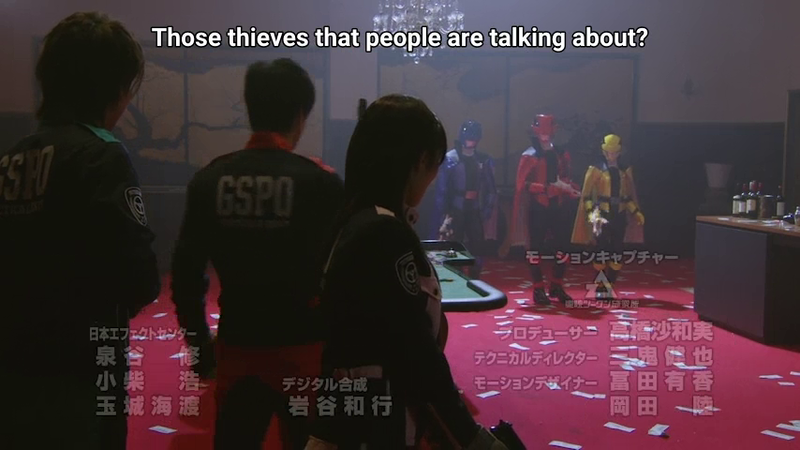 The Patrangers are the opposition of Ganglers and the Lupinrangers. 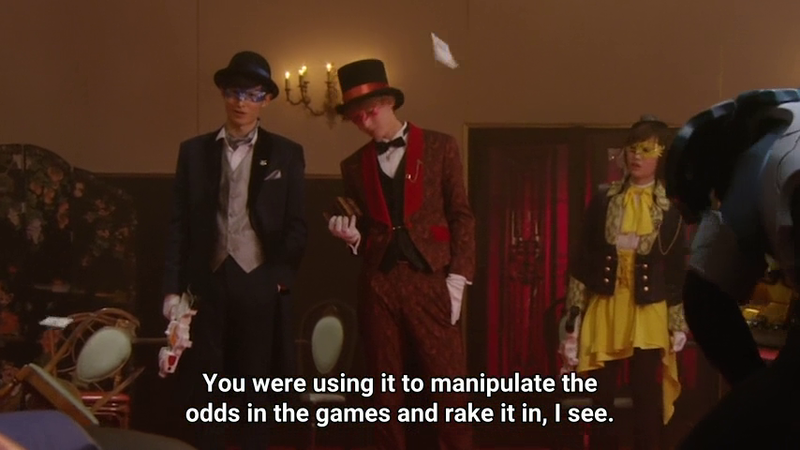 I really think that it gives Zenigata errr Keiichiro is headstrong. 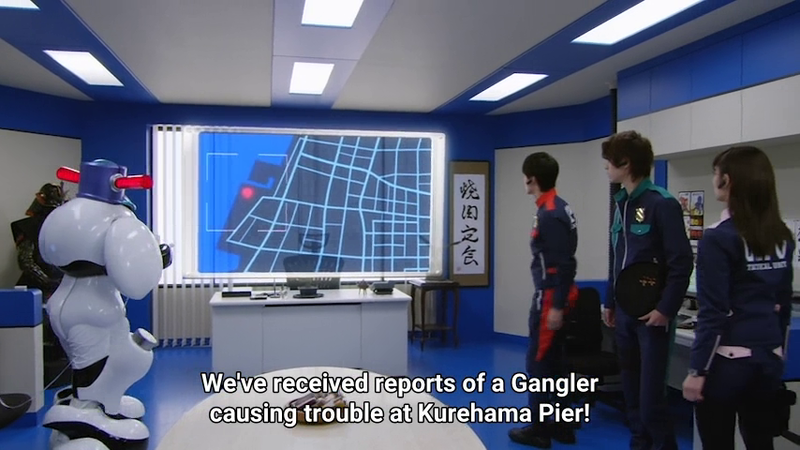 He wants both the Ganglers AND Lupinrangers arrested. It's really amazing how we've got our first African-American mentor. I think about how the policemen here are probably played for laughs. 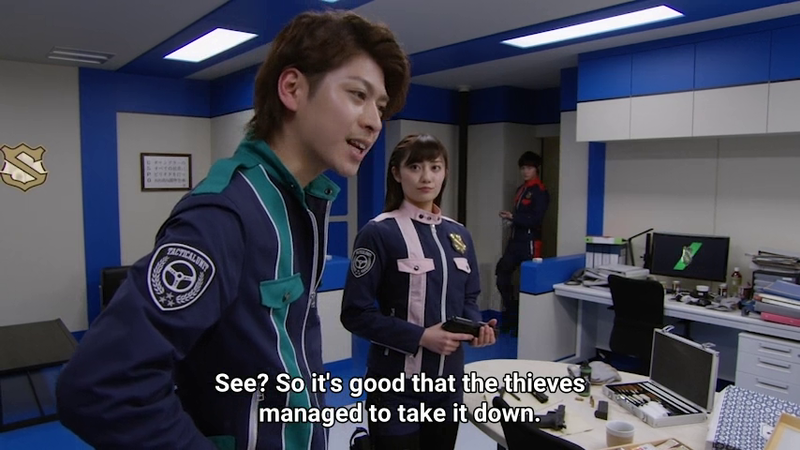 I even think that maybe Captain Shunsuke Masaki should shape up those three cops especially Keiichiro -- who seems to be really that stupid! 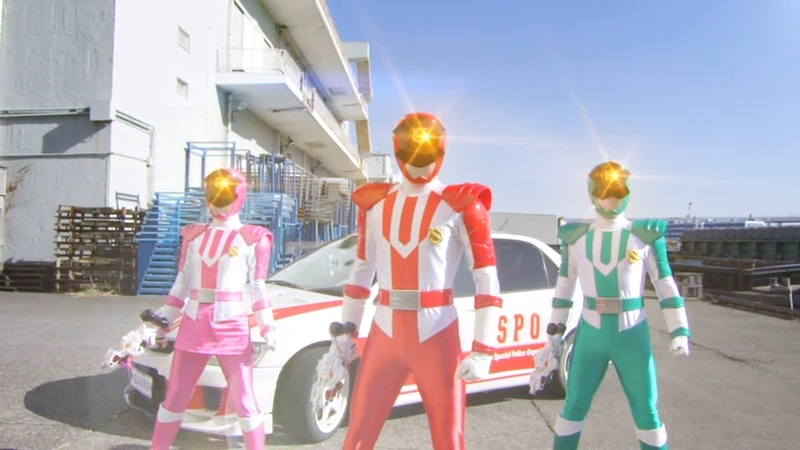 The Patrangers show up and show that they too can henshin. 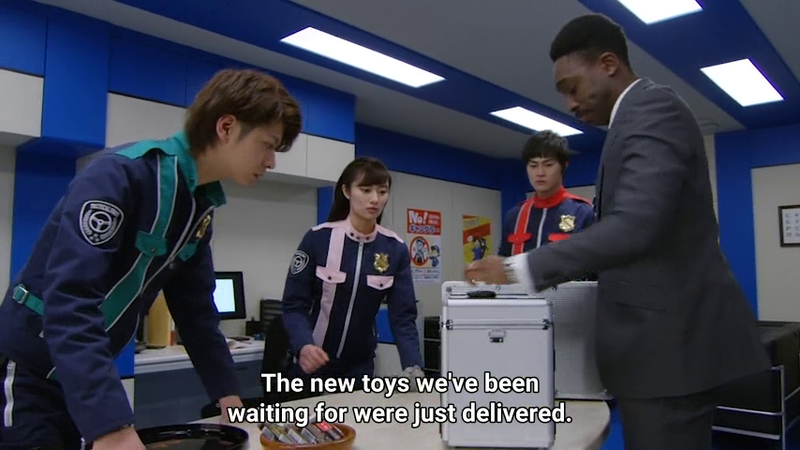 Wait -- just where in the world did they get part of the Lupinranger collection? I guess they too hear of the legend and they want to get both the Lupirangers and Ganglers to justice. This is going to be one intense and maybe hilariously crazy season. I can't wait to see more of the series as it progresses -- especially next week we'll be seeing more of their powers in action such as the merged form (?) and mecha in action. What are your thoughts on the first episode of the series? I found myself really enjoying the 1st episode! 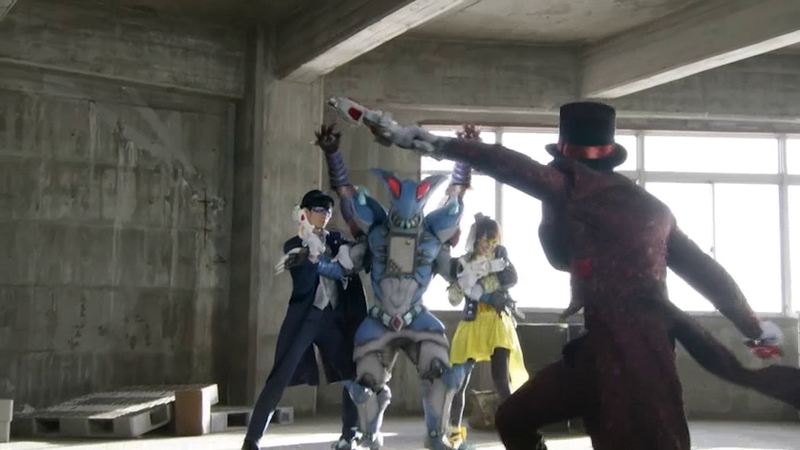 The fighting style of the Lupinrangers is what really caught my eye, very acrobatic and uses a lot of parlour moves too. 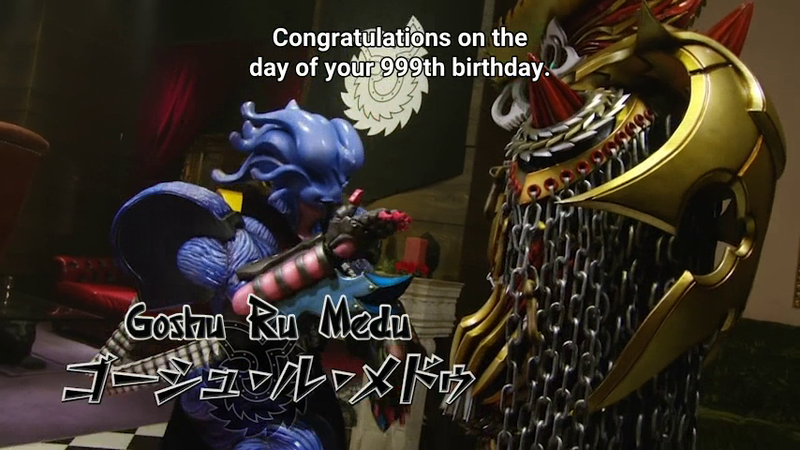 How does it compare to other fight scenes in Sentai history? 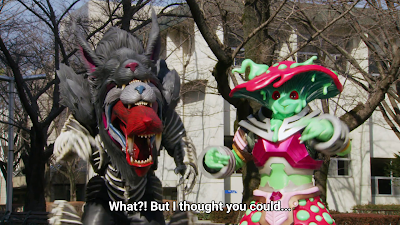 I do wish that they didn't have the Patarangers fight them so early. 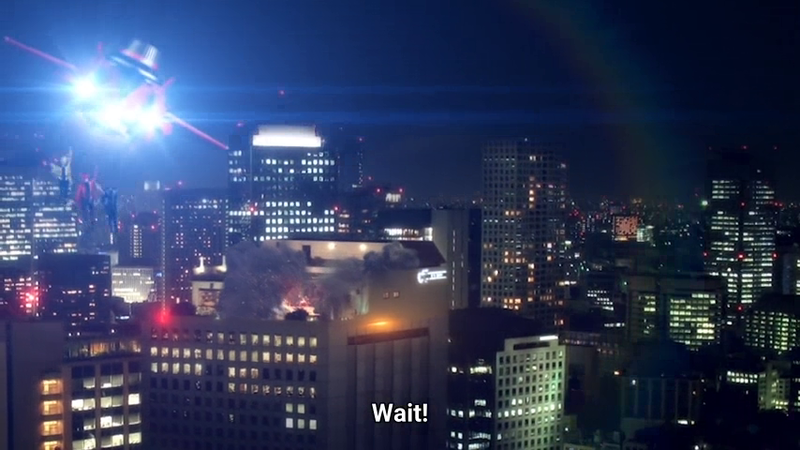 I was expecting more of a jumping back and forth between the Lupin and the Patra worlds. 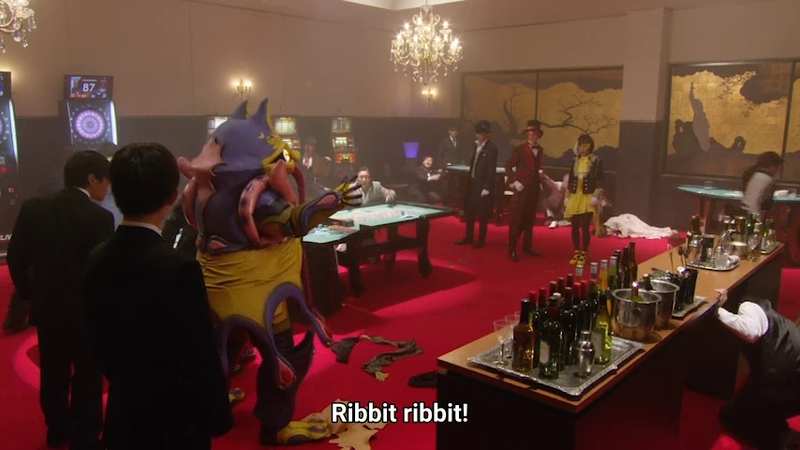 Then they somehow collide together, with each Sentai team meeting each other and thinking the other is an enemy, while fighting the Gamblers, they battle each other.